It’s the 1980’s and Patrick Monahan’s Irish Iranian family arrives in Teesside escaping from the Iran war. Patrick’s memories and reminiscences of being an immigrant to Great Britain make for a totally unique stand-up show! ‘That 80’s Show’ is the sequel to Patrick’s hit 2015 show ‘The Disco Years’ both directed by Phil Nichol. Instead of focusing on 80s pop-culture, Patrick talks about his personal experience of the 80s: moving with his parents from Iran to the UK, starting school without any English, his Irish/Iranian heritage, his dad’s experience of discrimination, his mother’s experience of migration. ‘He jokes about IS, the IRA and UK and world politics rather than the pop culture of the period. ‘Monahan possesses the rare ability to be hilarious without being outrageous’. ‘There isn’t a comic quite like him and his hugs alone are worth the price of admission’. 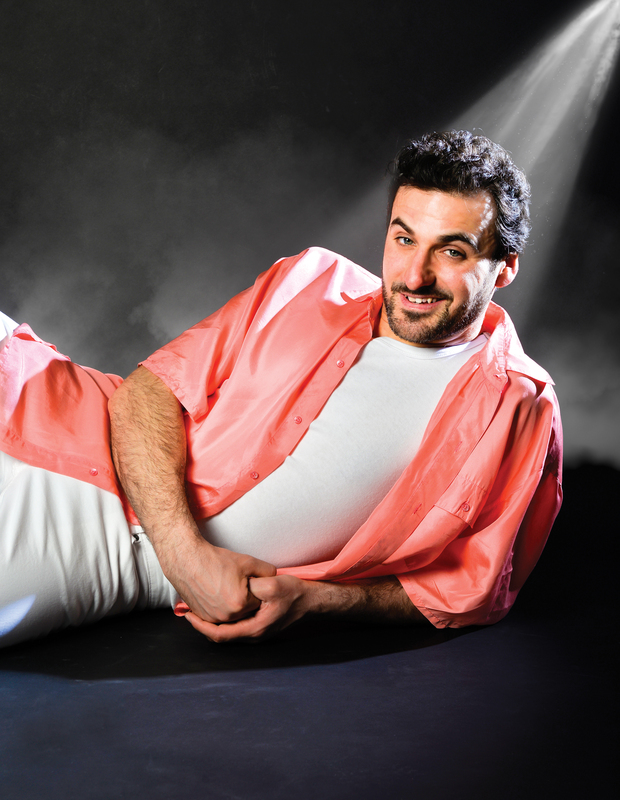 Patrick Monahan is adored by his audiences everywhere! He performs all over the UK and Europe and has appeared in far-flung hotspots including Dubai, Bahrain and Costa Rica! He is very much in demand, performing literally hundreds of shows a year and was the winner of the 2015 www.Ents24.com ‘Hardest Working Comedian of the Year Award’ for playing the highest number of venues in the UK! His many TV appearances include ‘Weekend’ (ITV) ‘Safeword’ (ITV2) ‘Celebrity Squares’ (ITV) ‘Fake Reaction’ (ITV2) and ‘The One Show Festival 2015’ (BBC1). Patrick was the winner of the 2011 ITV1 series ‘Show Me The Funny’ which led to the release of his debut DVD ‘Patrick Monahan Live’ (2 Entertain). He is also a regular MC and headlining act at the top London and UK comedy clubs and in addition to this he is in huge demand on the corporate circuit as an after dinner speaker and awards host. In addition to this Patrick is a keen runner and fundraises for the charity Zoe’s Place. From the 2nd of December to the 8th of January 2017, Patrick will be appearing at the Worthing Pavilion playing the role of the dastardly Captain Hook in ‘The Pantomime Adventures of Peter Pan’. The JM Barrie classic tale of the boy who refused to grow up gets plenty of 21st century treatment, with spectacular flying sequences and the introduction of the essential pantomime dame Able Mabel. www.worthingtheatres.co.uk/peter-pan Patrick’s UK tour starts on the 4th of February 2017.